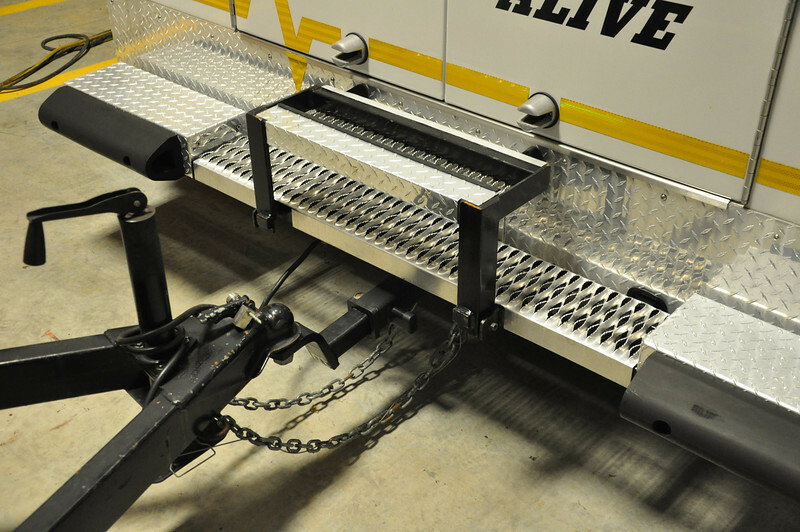 We had Croft Trailers on Truman Road in Kansas City add a hitch so that we could pull our equipment trailer. Works very well and we can still open the rear doors to get in and out. The step folds up out of the way when the trailer is attatched.